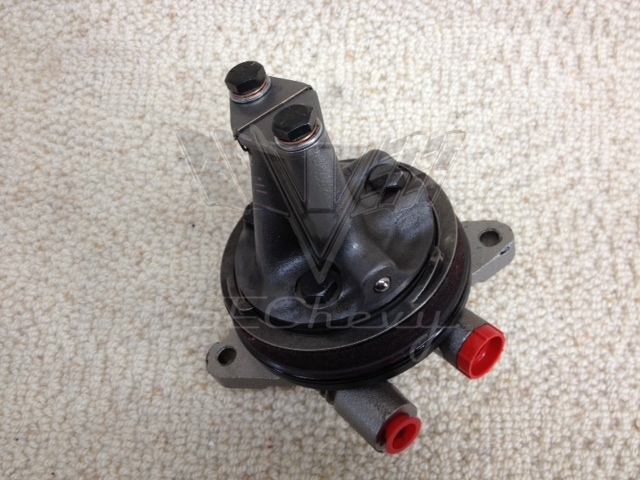 This 1955-1956-1957-1958-1959 Chevrolet Power Steering Pump is completely Re-manufactured. The pump mounts on the backside of the generator. All pumps are taken apart and examined for excessive wear. We have the cam rings re-machined to a smooth finish a well as installing new vanes in the rotor. The rotor slots are polished for a smooth fit. We have the base bead blasted to bare metal and then painted a cast iron gray. When reassembling, all new seals are installed. After all pumps are completed they are tested for correct function and to prevent leakage. The bleeding instructions are included with each pump. Does not include reservoir. "The p/s pump I received is being put on the car as we speak. The service from your company has been terrific. Danny has a wealth of knowledge. I really appreciate the follow-up. Bob"